How is the new year treating you so far? Are you taking things in stride? Or are you still wondering where 2018 went? As for me, I’m trying to cope with the chaos 2019 has brought into my life. My fridge is in the living-room, my microwave is on the TV stand and plugged in next to the fridge. My stove and dishwasher are squeezed somewhere near my dining-table, and boxes are piled almost to the ceiling. No, it’s not a scene from my current work-in-progress, neither am I moving. It’s just a matter of taking care of some water damage in my kitchen, which has left me feeling sick and disoriented, to say the least. But in spite of eating out of paper plates, and eating things I don’t normally eat, life goes on. Right? Right. 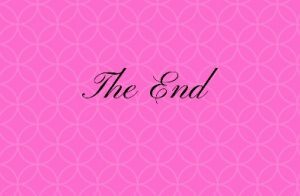 So, I just finished typing The End to my latest book and uploaded the final chapter to my critique group. Yay!!! I began working on this manuscript twelve years ago and had to set it aside time and again for various reasons and was only able to work on it consistently this past year. Shows what you can do if you just stick with it. I feel great about myself because I accomplished this under very trying circumstances. So, want to know what my latest masterpiece is about? Remember the Golden Girls sitcom? The four middle-aged women who sat around eating ice-cream and sharing secrets? Well, my new novel is something like that, except that there are three of them and they are too figure-conscious to eat ice-cream very often. And that’s all I’ll say about them for now. Remember to grab a copy of each book in my Egypt series or whichever one you haven’t read yet and tell your friends about them. And when you have read them, please leave a review on Amazon. You can find them on my my Amazon author page here.